Corey Lewandowski, Donald Trump’s campaign manager, has been charged with misdemeanor battery after he allegedly assaulted former Breitbart News reporter Michelle Fields in early March. According to the Palm Beach Post, Lewandowski turned himself into the Jupiter, Florida, police shortly after 8 a.m. on Tuesday. Fields filed criminal charges against Lewandowski after he allegedly aggressively grabbed her arm and pulled her towards the floor after she attempted to ask Trump a question about affirmative action early this month. Although witness accounts and video evidence bolstered her claims, the Trump campaign refused to accept fault. Breitbart also refused to accept Fields’ narrative, choosing instead to ally itself more fervently with the campaign, resulting in the resignation of several high-profile staffers, including Fields and editor-at-large Ben Shapiro. “Mr. Lewandowski is absolutely innocent of this charge,” read the Trump campaign’s statement. 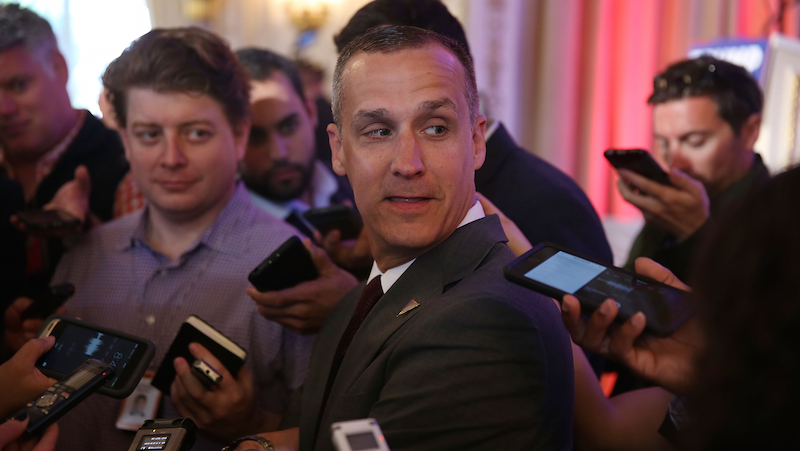 The campaign also disclosed Lewandowski’s two-member legal team, which includes Kendall Coffey, an attorney who gained notoriety in the ‘90s when he was forced to resign as top federal prosecutor in South Florida over allegations that he bit a stripper at a nightclub. Update (1:40 p.m.): BuzzFeed points out that Trump’s continual denial of the presence of video evidence is even more absurd considering the video footage (embedded above) that led to Lewandowski being charged is security footage from the Trump National Golf Club... which Trump conveniently owns.